Real Madrid visit Wanda Metropolitan on Saturday night, 18th November 2017 for the Spanish Primera Liga game against city rivals Atletico Madrid. The spanish football resume after the international break and by the time these two teams take the field Barcelona might have opened up a 11 points lead if they beat Legenes earlier in the day. This is a must win game for both sides and their slim chances of catching Barcelona in title race. 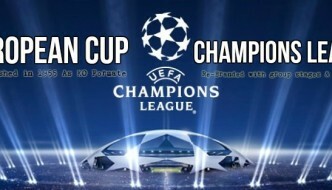 The game will be played at 20:45 CET / 19:45 uk time and SkySports has the live coverage rights in the UK. Its a massive game as far as the title race is concerned, both teams need a win to keep the pace with Barcelona but if this game ends in a draw the winners will be Barcelona who might have opened up an 11 points lead at top of the table by the time Madrid derby gets underway. Real Madrid have all sorts of noises coming out from the squad with players unhappy and some important players injured and its hard to see them defending their La Liga crown this season if they drop points again on Saturday. Last time these two meet was back in May 2017 when Atletico Madrid defeated Real Madrid 2-1 in the second leg of their Champions League knockout tie. However it was Madrid who went through thanks to 3-0 win at home in the first leg. Both teams have started the new season under underwhelmingly, specially Madrid who have all sorts of problems on and off the field with player attitude and what not. Preview & Team News: Real Madrid are well on their way to La Liga title with only 4 more games to play for while they can become the first team to win back to back Champions League titles after the competition was rebranded back in 1992-93 season. 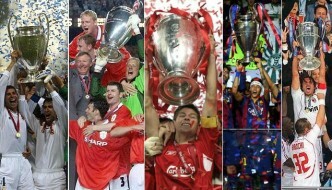 No team has ever done that and if Madrid were to put their stamp in world football this is one way to do it. 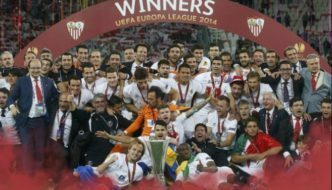 But they will have to go through their usual rivals Atletico Madrid who they defeated twice in the final in last three years. These two always produce some of the most competitive games in recent history and we can safely assume another cracking double leg affair in the coming week. Madrid do have some injury worries with Gareth Bale struggling to be fit while James Rodriguez keep scoring to make a claim for starting lineup. Atletico Madrid on the other hand is a solid side at the back but their recent form see them struggle in front of goal. They also have several injury worries with central defender Savic ruled out of Madrid derby. Antoine Griezmann is likely to start upfront with resurgent Fernando Torres while a packed midfield of Koke, Gabi, Saul and Augusto to lineup in four man midfield. 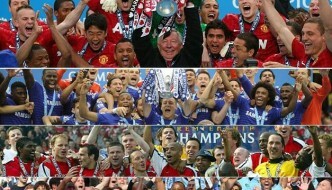 This is how I expect both teams to lineup on Satuarday’s Madrid Derby in the champions league final. Match Predictions: Real Madrid has had a terrible run of results against city rivals Atletico Madrid with only 1 win in the last 10 games between the two. Atletico who lost in the final of 2014 to Real Madrid will be committed and motivated to finally win their very first European title and should be slightly favorites for the final. I am going with a narrow 1-0 win for Atletico with Torres to score the winning goal. Previous Matches Review: Last time these two meet was back in February when Antoine Griezmann only goal of the game secured a famous 1-0 win at Santiago Bernabue which also ended Real Madrid’s chances of winning the league. 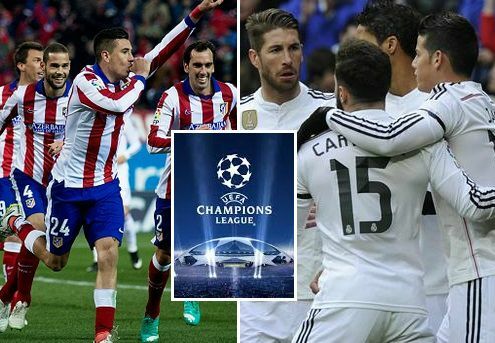 Real Madrid hosted Atletico in the “Madrid Derby” on Saturaday, 27th February 2016 and it turned out to be another close game between the local rivals. Real Madrid started with Ronaldo, Benzema James Rodriguez upfront but Atletico played superbly in defense and never let Real Madrid enough time on the ball. Game was 0-0 at the break and Atletico’s best defense in the league kept Real Madrid at bay. 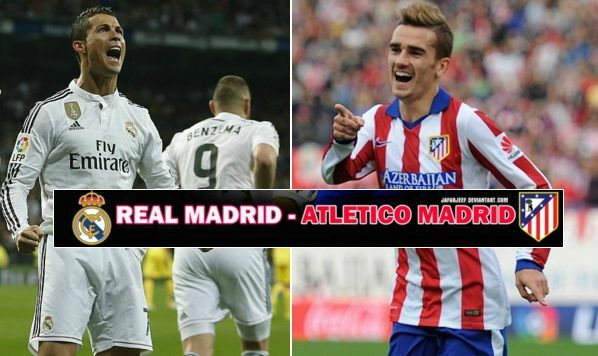 Antoine Griezmann scored after the break to put Atletico 1-0 up against Real Madrid. Ronaldo came under massive criticism after his comments regarding his own team mates. He was pushed to clarify his statement later but the harm is already done. Real Madrid are now 12 points behind Barcelona with only 12 games to go leaving their title race well and truly over. 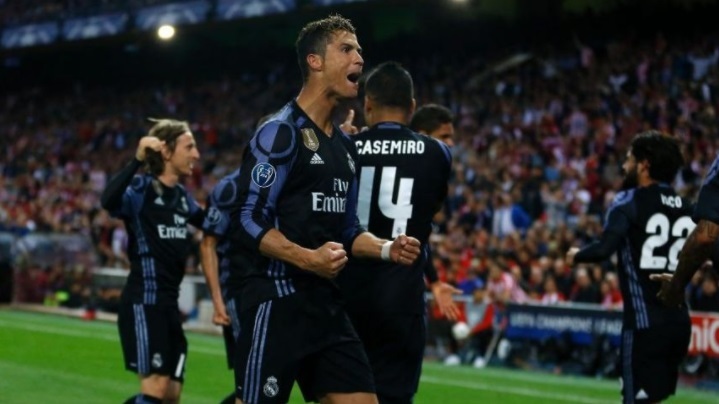 Real Madrid took on city rivals Atletico Madrid in the final of 2016 champions league on saturday night in pursuit of their 11th European title. Madrid took the lead in just 15th minute to get their noses in front when Sergio Ramos who looked to be in the offside position poked home from close range after Gareth Bale’s flick on on the set piece found Ramos unmarked. Atletco failed to put their usual authority in the game as Real Madrid sit back after the goal and tried to catch Atletico on break time and again. Yannick Ferreira-Carrasco scored in 80th minute to bring Atletico back in the game. Real Madrid went on to win their 11th European cup after beating Atletico 5-3 on penalties. Real Madrid are leading in the final of 2016 champions league final after first 45 minutes thanks to early goal by Sergio Ramos. Atletico made 1 change just after the break as Augusto was taken off while Yannick Ferreira-Carrasco was brought on. Ferreira-Carrasco came on as a second half sub for Augusto and he made the difference after scoring from close range to bring Atletico back in the game. Atletico had earlier missed the penalty awarded to them when Pepe brought down Torres. Real Madrid celebrated early morning after touching down back in Madrid. It will be hard to recover from this defeat as far as Atletico Madrid are concerned with Diego Simone already hinting in looking for another challenge somewhere else. 15′ 1 – 0 Sergio Ramos scored from close range after Gareth Bale’s flick on found him unmarked inside the box. 79′ 1 – 1 Yannick Ferreira-Carrasco scored from close range after Madrid failed to put the game to bed. What is happening ??? Why is the tivi black ?